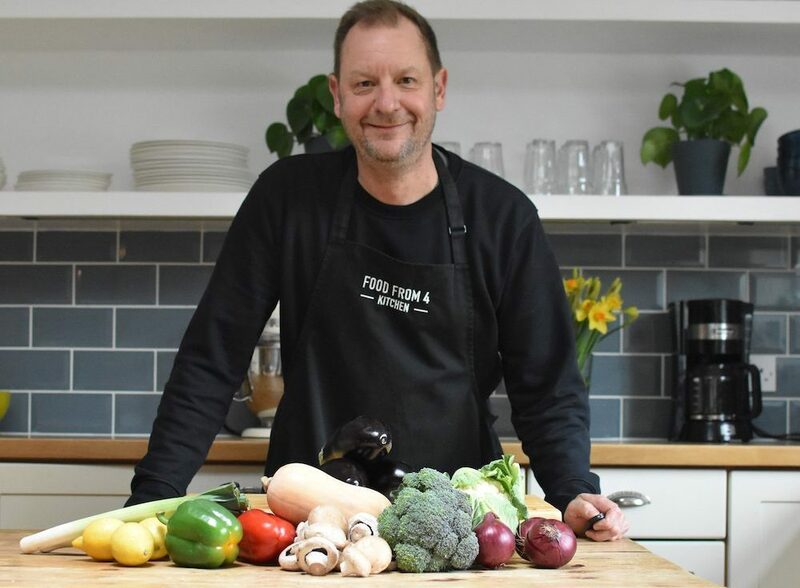 Muddy says: Bang on trend for more veg-conscious eating, Food From 4 is a vegetarian and vegan cookery school based at owner Ian Fischer’s home in Chalfont St Peter. He offers group or private tuition and can also come to you. No one puts a vegetable in the corner! That’s Ian Fischer’s ethos at Food From 4 – giving veg the starring role in a dish. Whether you’re a fully fledged veggie, or simply want to reduce your meat consumption, all recipes on Food From 4’s website are either completely vegetarian or vegan, cover loads of different cuisines and are tried and tested in Ian’s home, No.4, in Chalfont St Peter, South Buckinghamshire. Ian runs scheduled cookery classes from No. 4 (or he can come to you), each with a different theme including Indian Street Food, Italian, Everyday Vegan, Flavours of the Middle East and more. Classes start at 10am and finish with lunch (cooked by you!) at 12.30pm. Want a private lesson? Book for up to a group of six, either at Ian’s home or in your own kitchens (based on suitability), for £50 per person for three hours including all ingredients, equipment, colour recipe cards, lunch and leftovers to take away.